Guys, we are getting so close to the house being done. There's still quite a way to go, but we are definitely on the downhill slide and I'm here for it. It feels so good to finally be putting things back together instead of just taking them apart! Make sure you are following along on Instagram, to see all the BTS action. I've been shooting so much great content lately, but just haven't found the time to write a blog post. Which, TBH kills me because this blog is my heart and writing is my outlet. Trying to remind myself that life is all about seasons, and I'm just in a season rn where I can't have it all, and it's ok. Rest and restoration are in my future. If you're anything like me, and want to bust out your Spring wardrobe but don't care too much for Spring colors, 2019's Spring color trend is your friend! Rust is such a hot Spring color trend, and I'm 100% here for it. 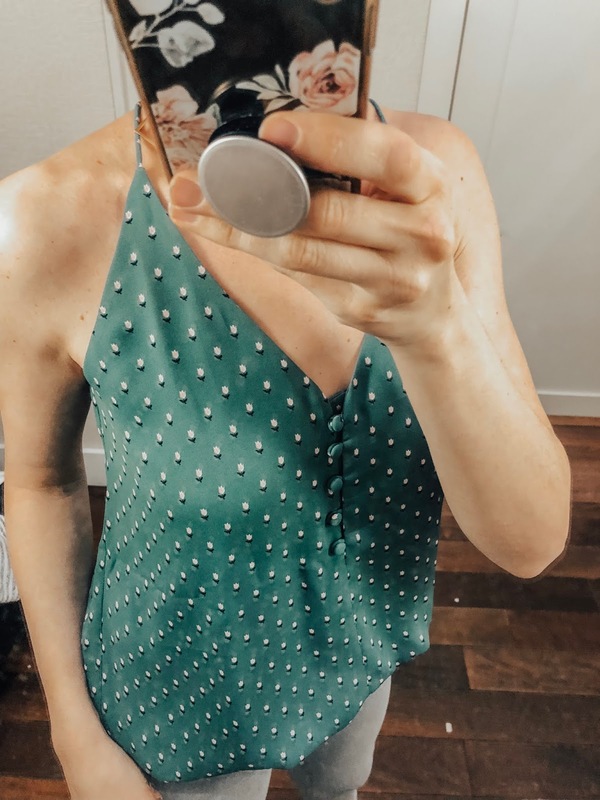 I've been stocking up on rust pieces, and love the idea that I can wear them now and then repurpose them later this fall. 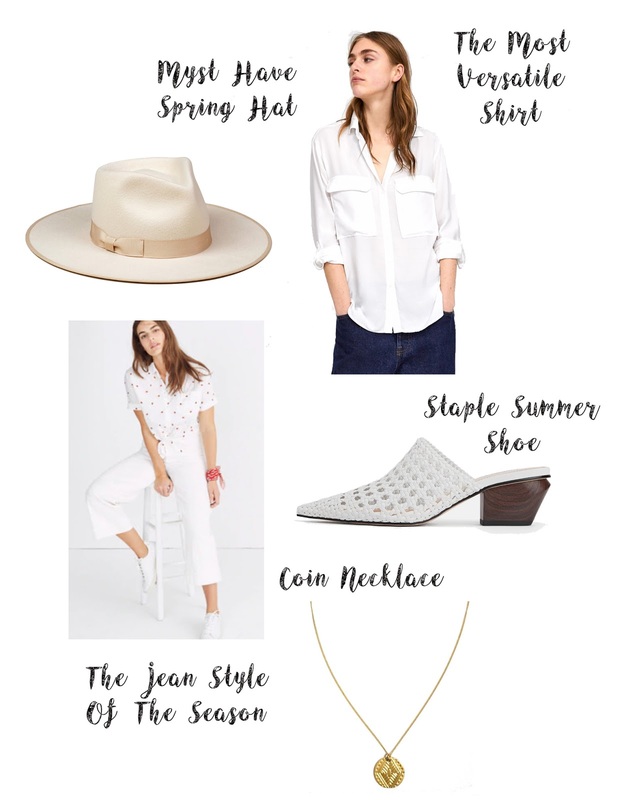 Also new to my closet, and so hot for Spring, are these white booties and white ivory hat. 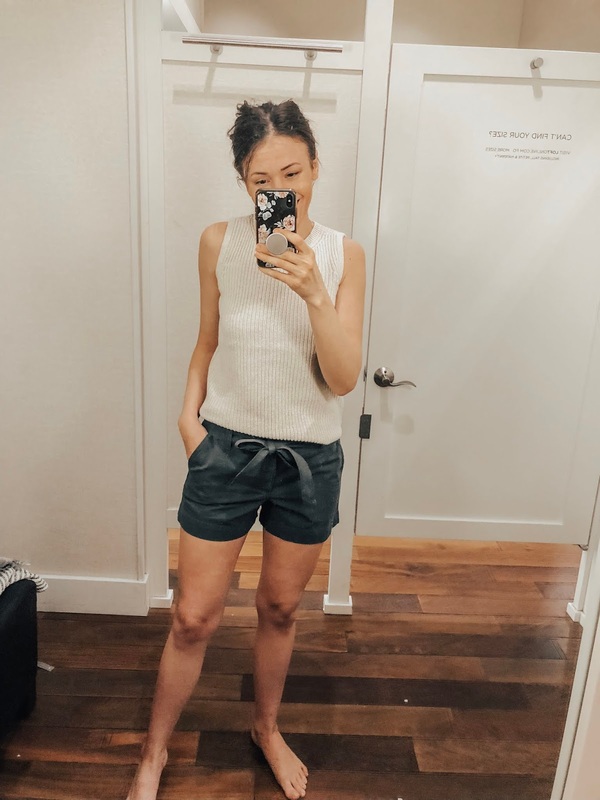 The booties are so comfortable and go with everything (they run TTS) and this hat is a total game changer for any outfit. B and I are off to Venice this weekend and I can't wait for that R+R I've been craving. I have a workshop I'm attending and I convinced B to tag along and get some rest because it's been such a wild few months. I think we are going to try to spend the afternoon in DTLA on Saturday, so if you have any suggestions, shoot 'em my way! 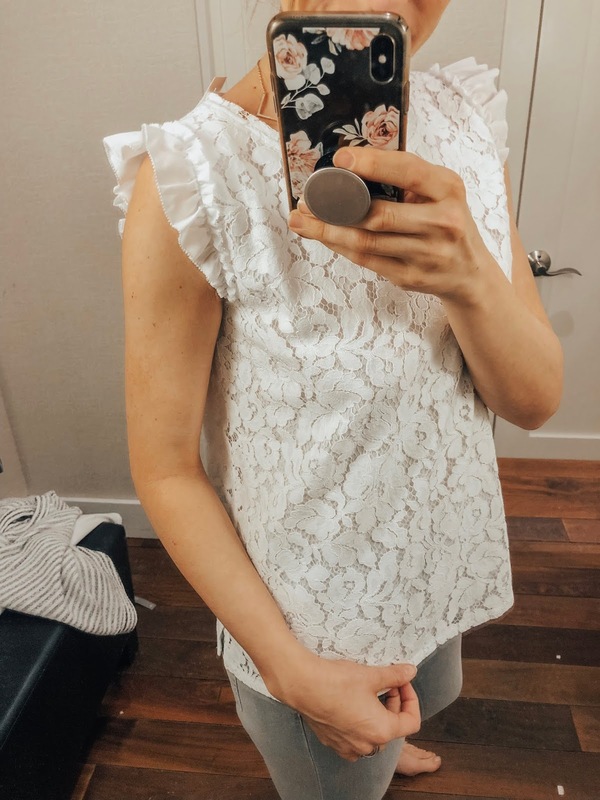 I popped into Loft last night for their 40% off sale to try on some pieces to share with you, since they are having a 40% off sale. 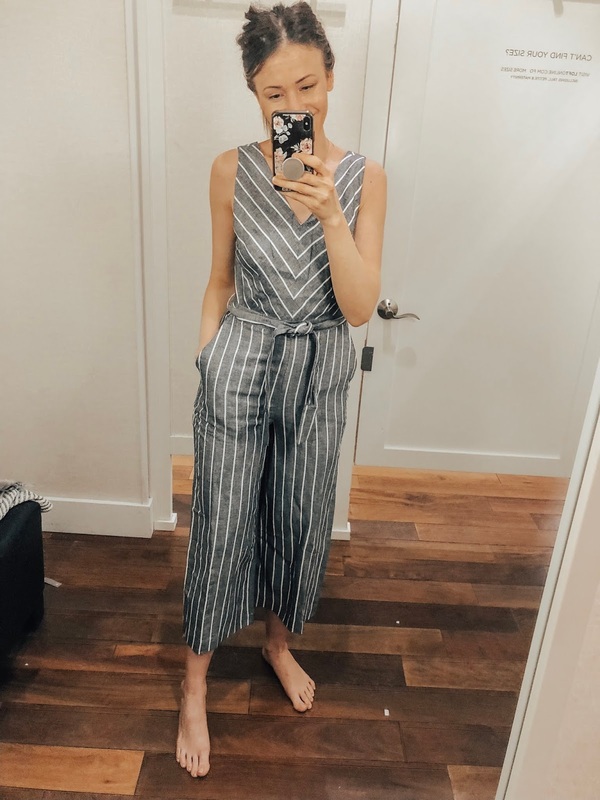 I get questions all the time about where to shop for good work clothes, and Loft is at the top of that list! They are also I place I like to stock up on cozy basics. 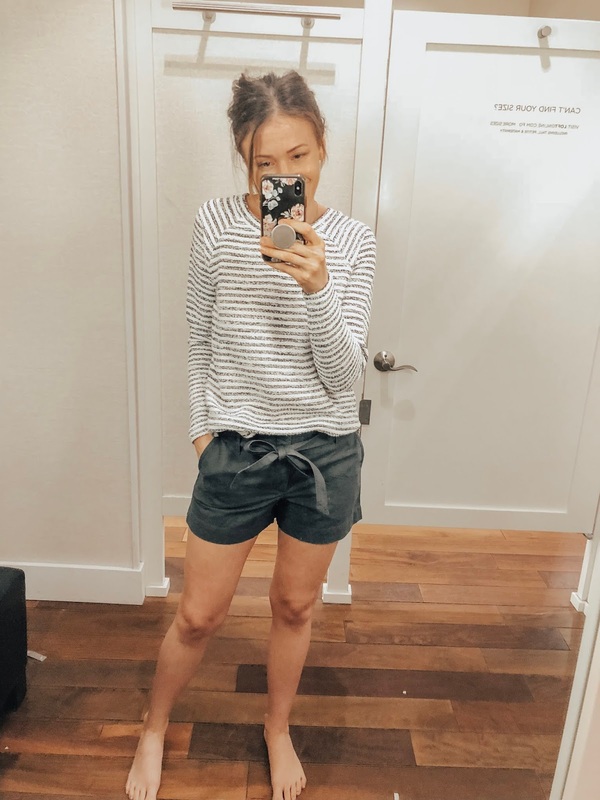 Their Lou and Grey line is second to none when it comes to comfortable luxury at an affordable price. Unfortunately, our particular Loft didn't have a great selection so I couldn't try on as much as I had hoped. (Hence why I always online shop!) If you aren't an online shopper, I'd suggest popping into a store to get your sizing down and then ordering online. There's just so many more options that way! FYI at Loft, I tend to size down. 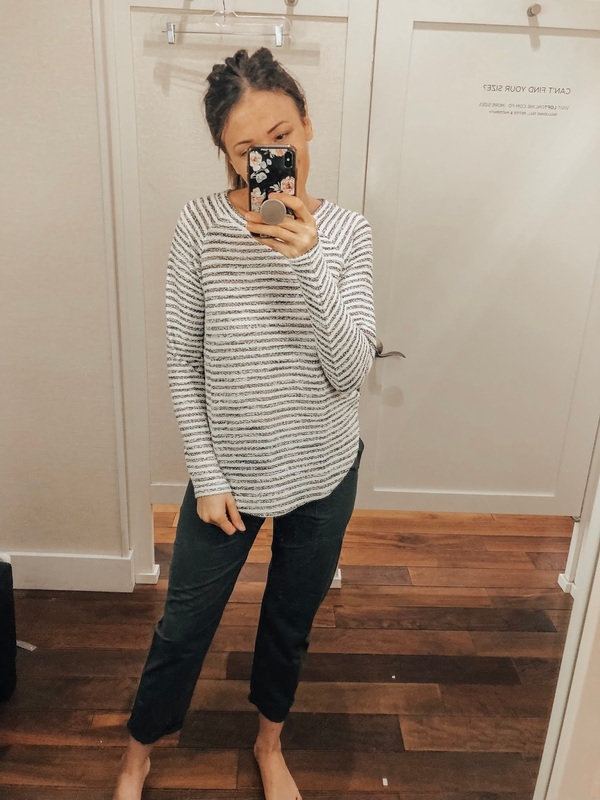 I usually wear a size 4 and small at most stores, but XS and size 2 are my go-to at Loft. I will say their jeans are their exception to that rule, and fit TTS. Speaking of jeans...their jeans are AMAZE! 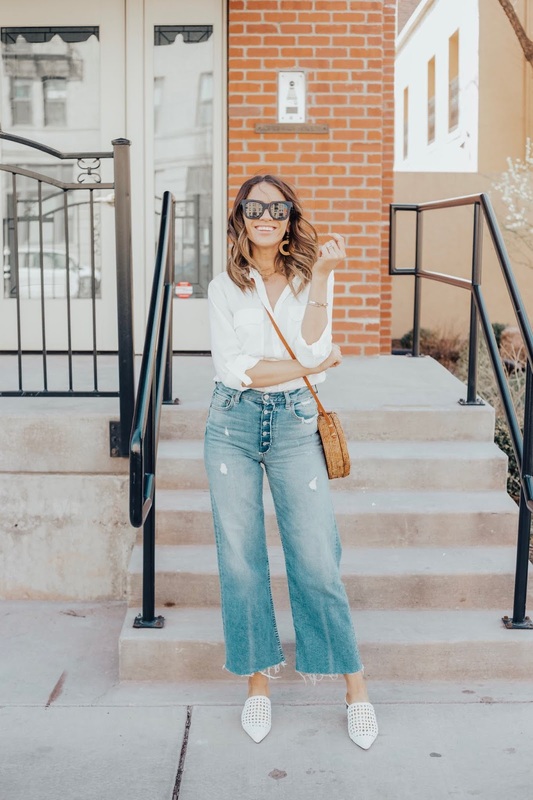 You know I've been on the hunt for good white jeans and these fit the bill. 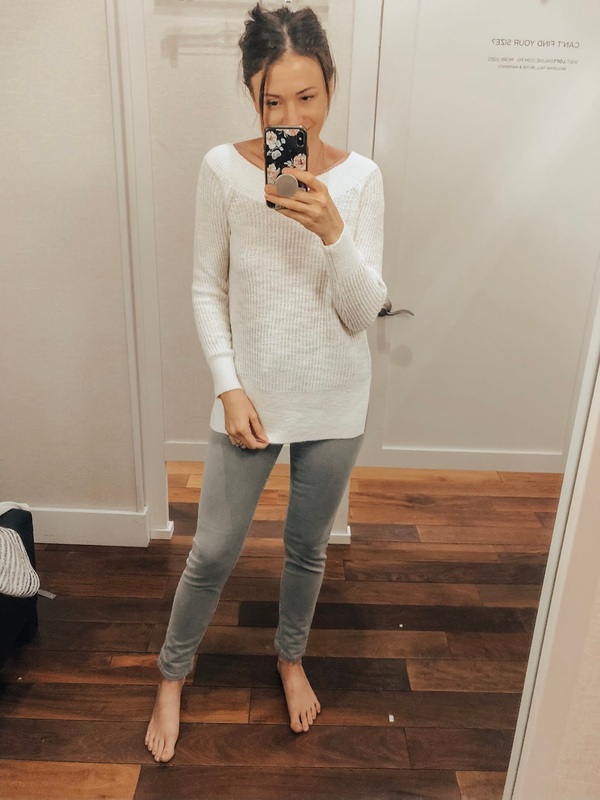 My favorite from the day are the gray ones I tried on though, which I linked below. I linked to items in my try on session underneath each picture, but there are a ton more items linked in the widget below. Just click on the picture to shop. Use code FRIENDS to get 40% off your order. Happy Thursday!